An autistic man learns to connect to his family and the world through Disney films. "Life, Animated" is a documentary directed by Roger Ross Williams. It is based on the book of the same name by Ron Suskind. It tells the story of Owen Suskind, an autistic man who, as a boy, hardly spoke. His family tried everything they could to get him to communicate with them, but it was only through the power of animated Disney movies that he finally learned to speak. Many documentaries are dark in tone and tell tales of tragedy and murder. Some bring little-known events and subjects to light. Others tackle political or social issues and are designed to instigate a response from the audience. 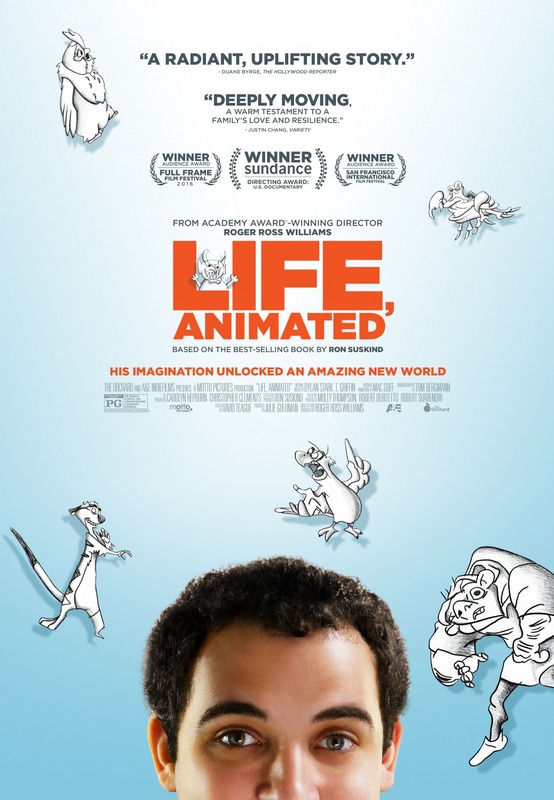 "Life, Animated" falls into another category as it is a feel-good documentary about one man's ability to overcome his challenges through an amazing method. It is a lighthearted, inspirational film that appeals to our emotions and has strong resonance to us as movie lovers. It shows the true power of art and displays how connecting with someone in an artistic manner (in this case through watching films) can bring positive change, even when unintended. "Life, Animated" is an interesting, intimate story told in a unique way about a very likable guy. The film uses beautiful little animations to bring the stories told by Owen and his family to life. By using this style of storytelling, we get a firsthand look at how Owen understands and identifies with the world around him through his own eyes. We don't often "do well" with touching films like this because we are such cynical bastards, but this documentary sure warmed our hearts. We definitely recommend watching this documentary.